–The 2017-2018 NBA Regular Season starts on Tuesday, October 17. 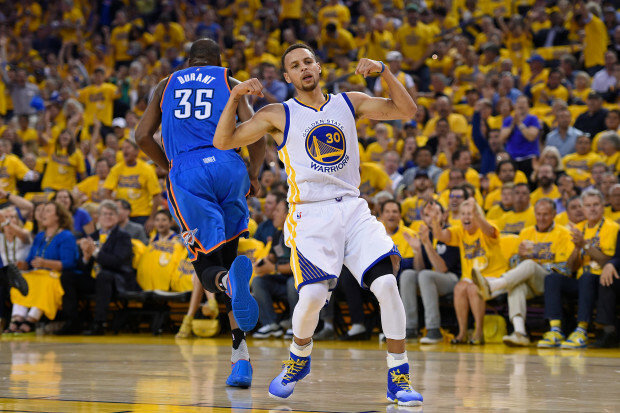 –The Golden State Warriors are favored to repeat as NBA Championship. –The Warriors are expected to be challenged by the Cleveland Cavaliers and Boston Celtics. We’ve already posted our odds to win the NBA Championship, the Eastern/Western Conference championships and the six divisional titles. Unfortunately, the talent pool in the NBA is very ‘topheavy’ at this point and only a handful of teams have a realistic shot to win their division or conference, let alone the NBA Title.